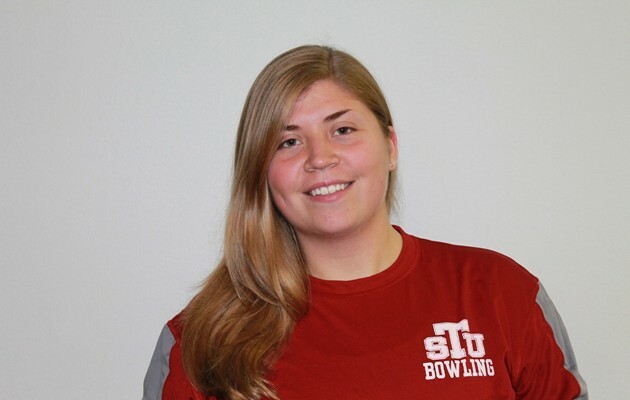 BESSEMER, AL – The Texas Southern Lady Tigers bowling team finished in sixth place at the Holiday Collegiate held in Alabama this weekend. Rachel Kugelstadt received the MVP award for TSU finishing with a 195.4 average which was 7th overall in the tournament. Jasmine Adams was the runner up with a 191.6 average. The Bowling team will travel to Kansas City to participate in the Central Missouri Invitational on March 1. The 2013 SWAC Bowling Championships are scheduled to begin on March 22 in Arlington, Texas.